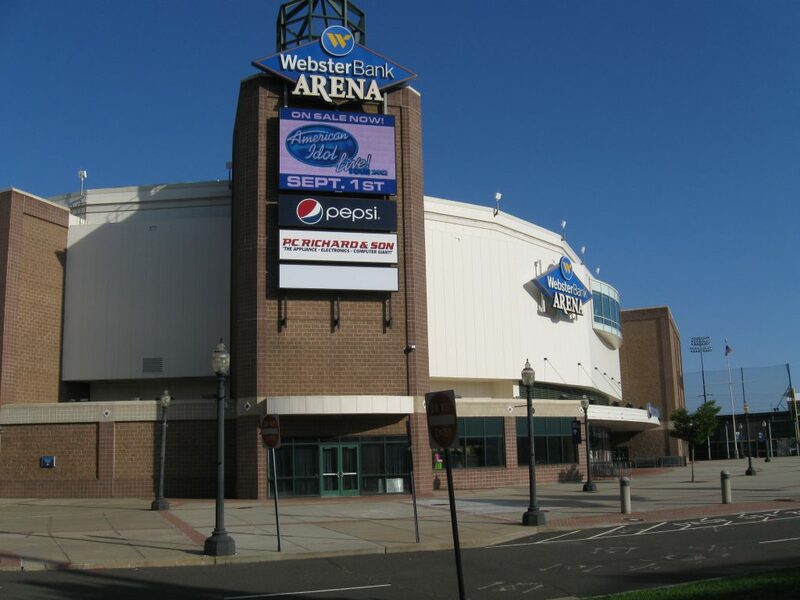 Webster Bank Arena | Controlled Air Inc.
At the Webster Bank Arena, Controlled Air, Inc. replaced two boilers which had a gross output of 4,334 MBH and an operating efficiency of 79% with two new high efficiency Sonic SC-4000 Patterson-Kelley boilers. The Sonic 4000 boiler has a gross output of 3,840 MBH and an AHRI thermal efficiency of 96.0%. Carrier’s Hourly Analysis Program (HAP) was used to provide energy calculations and comparisons. The analysis was performed by first constructing the baseline. From the output of the building simulation, calculations showed that by implementing the proposed Patterson-Kelly efficiency boilers, an annual savings of 19,139 CCF was projected when compared to the ASHRAE code minimum 82% efficient boilers. At the calculated average utility rate of $1.2567 per CCF, this would amount to approximately $24,051 in savings annually. When the project was completed, they received a $64,418 incentive for the boiler upgrade. If it is time to upgrade your equipment contact us to find out how to improve efficiency and save money on your utilities!